In our opinion, we define Drake as not only one of the greatest hip-hop artists of all time but a pivotal bond between us. We’ve been loving him since the streets Degrassi and in honour of his 31st birthday, decided to host a show in his honour. Oh how we miss The Next Generation. Degrassi: Next Class is just not the same. Jimmy Brooks was an 8th grade legend: killer looks, basketball star, hot girlfriend. But, it is impossible to forget the famous scene in Season 4 Episode 8 where Jimmy becomes paralyzed. Reflecting on these early 2000’s pre-smartphone days, DJ Champagne Tiny found out that Manny Santos was the Degrassi character most like her after taking a BuzzFeed quiz. Check out the following quiz for yourself and let us know which character you’re most like! According to MTV this was the hottest mixtape of 2009 and oh man do we agree. However, we did propose the question as to what Drake meant in Best I Ever Had. Was it the best sandwich he ever had? The best workout? The best trip to the mall? Steffy Wap and Champagne Tiny decided it was a definitely burrito. No Drake, we will not thank you later, we will thank you right now for blessing us (finally) with your first studio album 7 years ago. I’m the owl man, y’all don’t get it do ya? 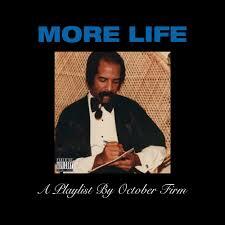 No, nothing was the same after this album because we officially saw Drake dancing in a Shopper’s Drug Mart Aisle. That’s an image that sticks with you forever. We have come to the conclusion from this mixtape that Future and Drake are definitely friendship goals. Our suggestion is that their couple name could be #druture or #furake. Drake was feeling a tad bit aggressive for this mixtape and unfortunately, we were unable to play any tracks because none were censored. However, to our enjoyment we found out Steffy Wap had a Drake themed 20th birthday last year with “If You’re Reading This It’s Steff’s Birthday” written on the cake. Thanks for the inspo Drizzy!!! Steffy Wap and ChampagneTiny have been friends for 3 years now, but the release of Views was a pivotal moment in our friendship. Saturday, October 8th, 2016 is a day we will forever remember … the night we finally saw the 6ix God. The view from the 300 section was the best view we could have ever asked for. We also both purchased Summer Sixteen concert t-shirts and refused to change for the next two weeks. Earlier this year Drake blessed our iTunes and Spotify with More Life. 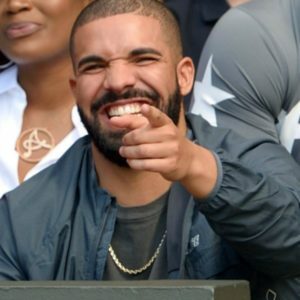 While many call it a fire mixtape, Drizzy refers to it as a playlist. The songs on this playlist have so much of a vacation vibe that Champagne Tiny loves. 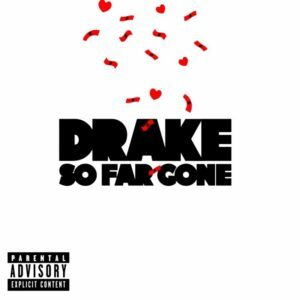 It’s also quite adorable that Drake’s dad was on the album cover and clearly provided a lot of inspiration for the songs. Feature Segment: Who has Drake Dated? We concluded our show with Champagne Tiny’s relationship segment. She explained how Champagne Papi has been quite discreet with his dating life. Ever since he has been in the public eye there have been 4 women who have speculated to have all of his attention at different points of time. #1 – Rihanna has been the girl who Drake professed his love for while presenting her the MTV Vangaurd Award in 2016. They have been an on again and off again couple since 2010 and needless to say the we are hoping they are endgame. #2 – Nicki Minaj has been the other lady who has shared mind blowing chemistry with Drake on screen. Even though they both have always said that they are really good friends it is hard to accept that they never had any romantic connection whatsoever. However, their friendship did come to a halt when Meek Mill (who was dating Minaj at the time) got into a verbal feud with Drake. We did get an amazing song, ‘Back to back’, by Drizzy as a result of the feud. Minaj and Drake have since reunited as friends and hopefully surprise their fans with yet another iconic song together. #3 – Around Christmas last year, photos popped up on Instagram of Drake and Jennifer Lopez cuddling and spending some quality time together. They both claimed that they are just friends and were working on some new project together. But it is hard to deny that possibly some holiday season lovin’ was in the air. #4 – The most recent flame Drake is rumoured to be dating is none other than Bella Hadid. It is being speculated that Drizzy threw Bella her 21st birthday party early this month. We are hoping that it is a start of something new for them and these two beautiful humans attend some basketball games together and redefine #couplegoals again. Tune in next week to find out everything you would ever need to know about celebrity Halloween costumes, but for now happy birthday Champagne Papi.